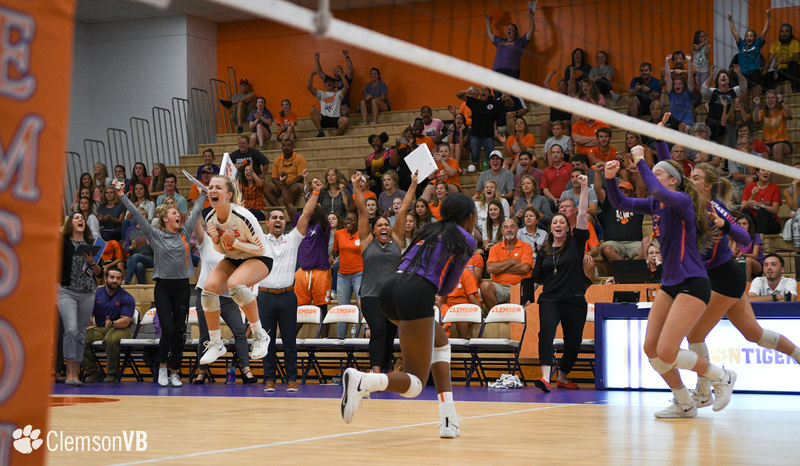 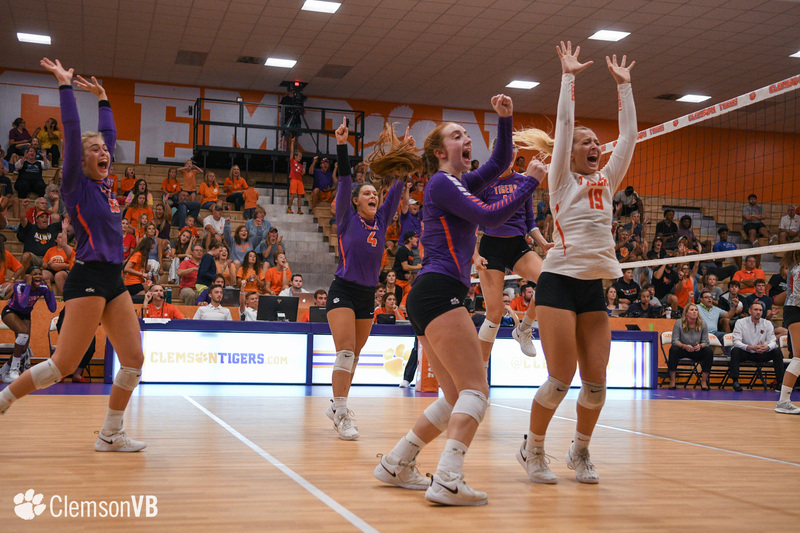 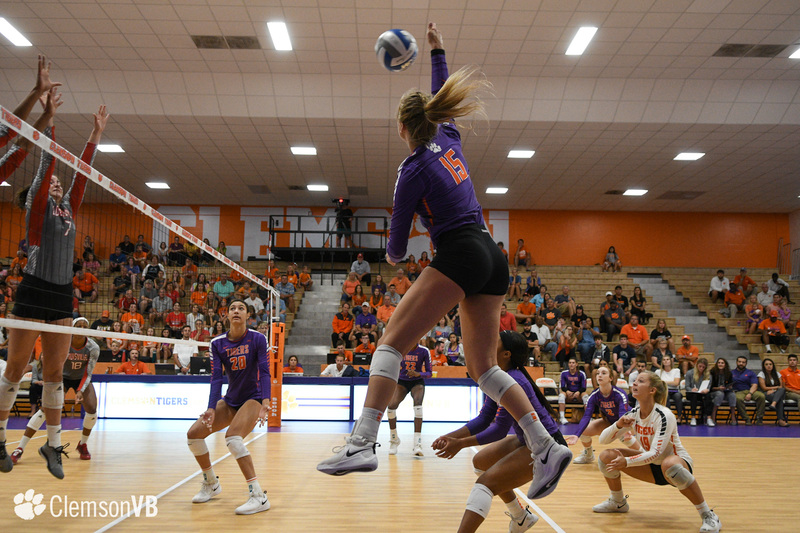 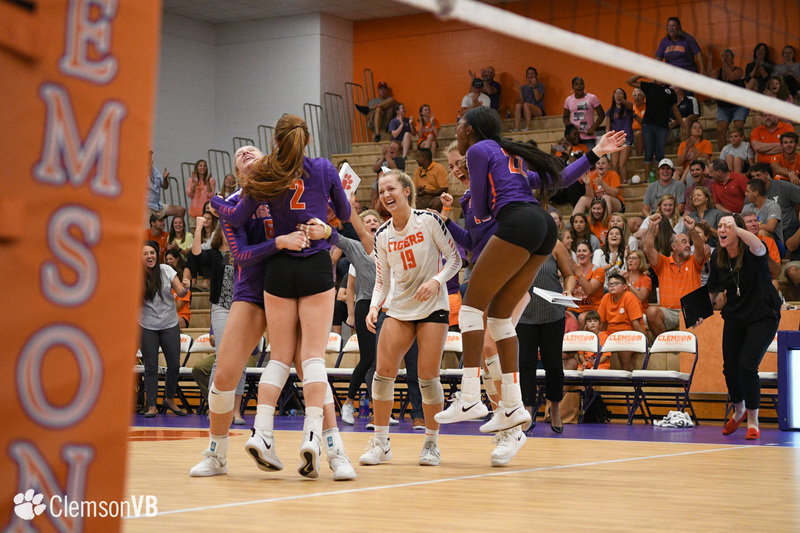 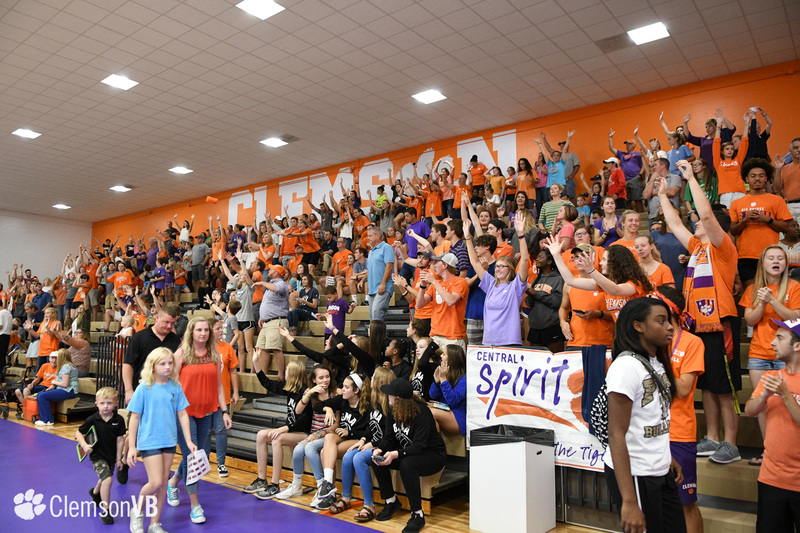 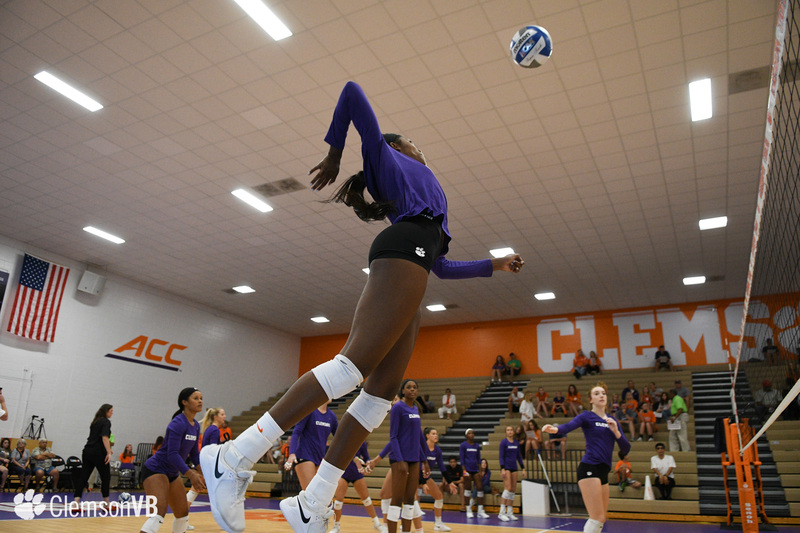 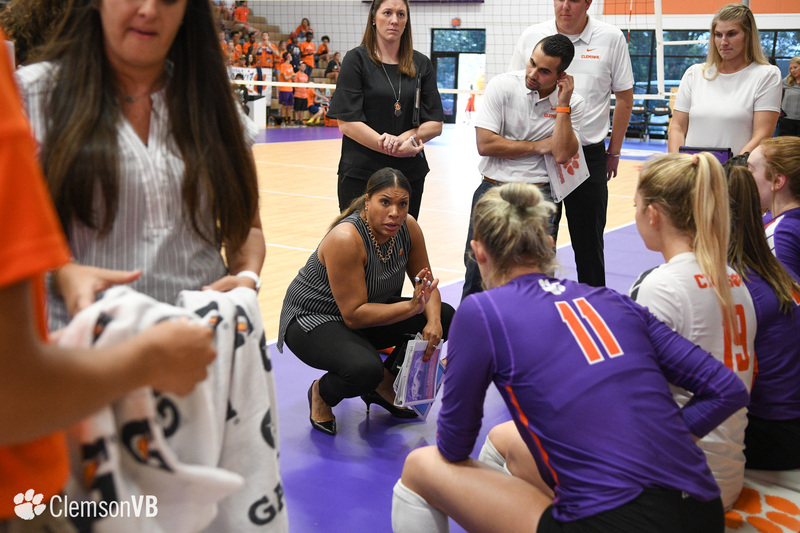 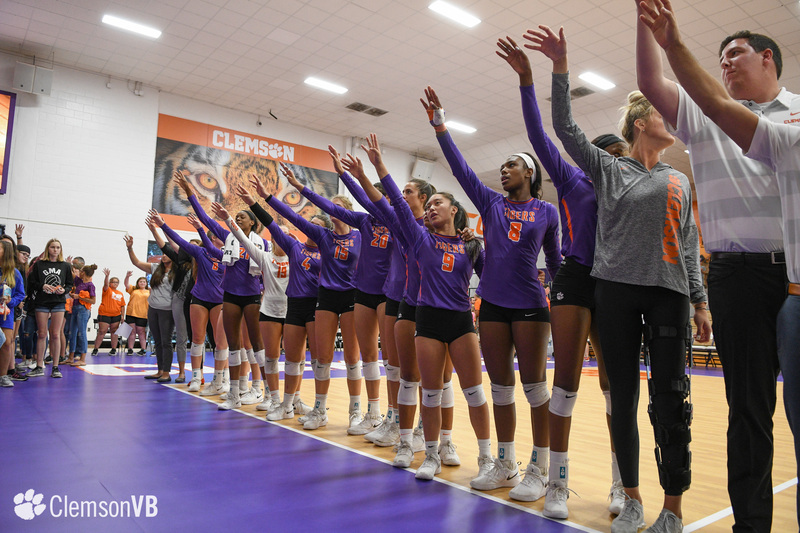 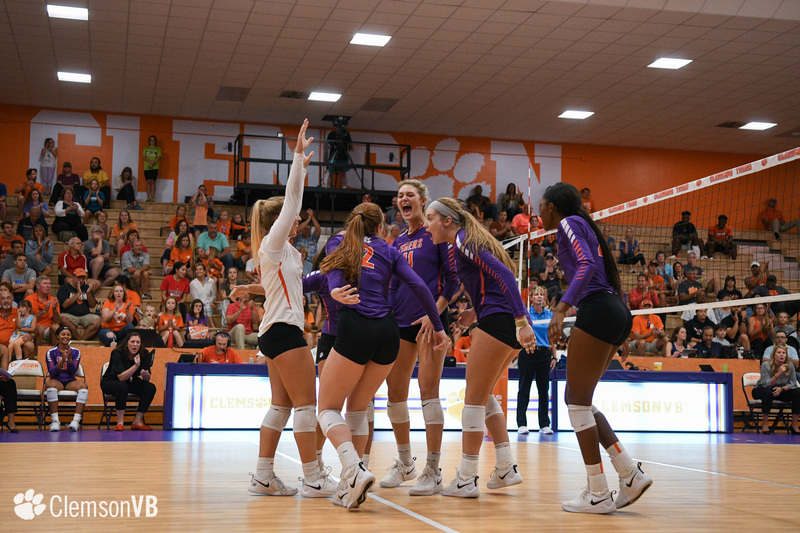 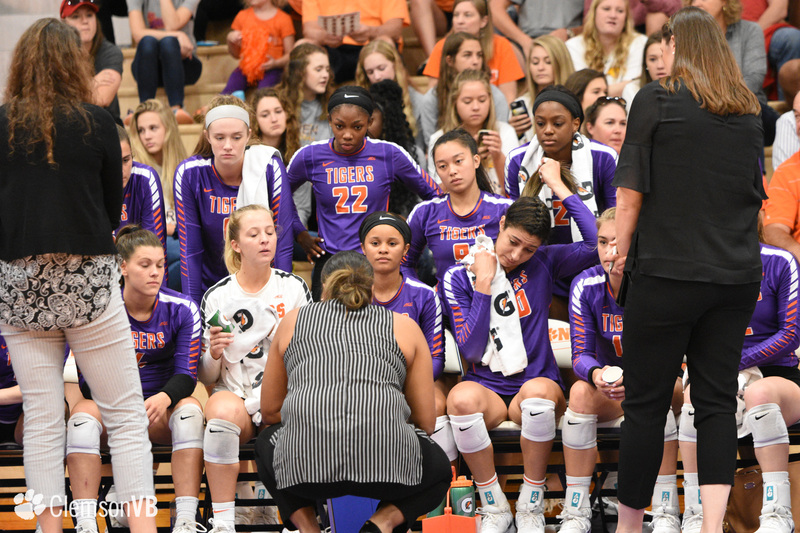 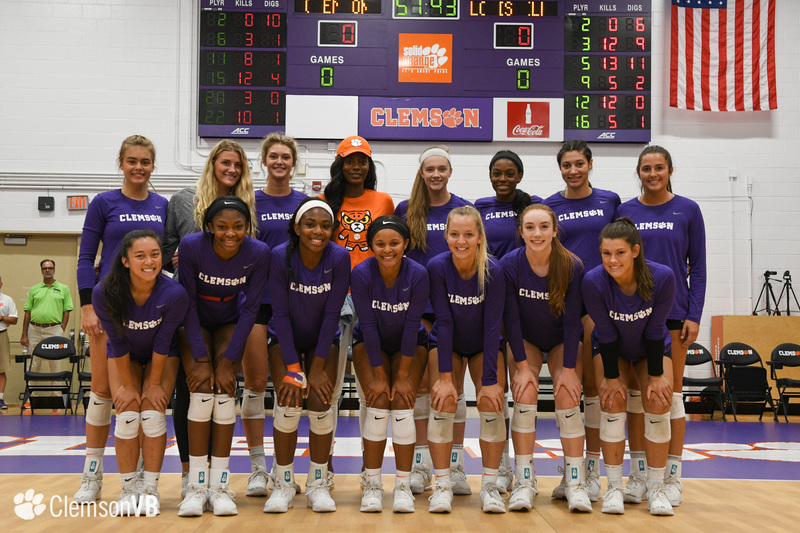 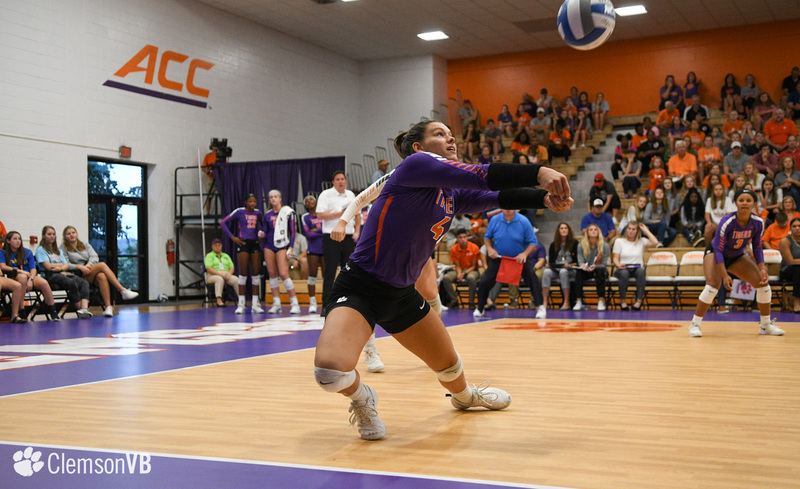 CLEMSON, S.C. – The Clemson volleyball team came up just short in five sets (21-25, 25-21, 18-25, 25-23, 14-16) against Louisville, who is receiving votes in the AVCA coaches poll, in Jervey Gym Sunday afternoon. 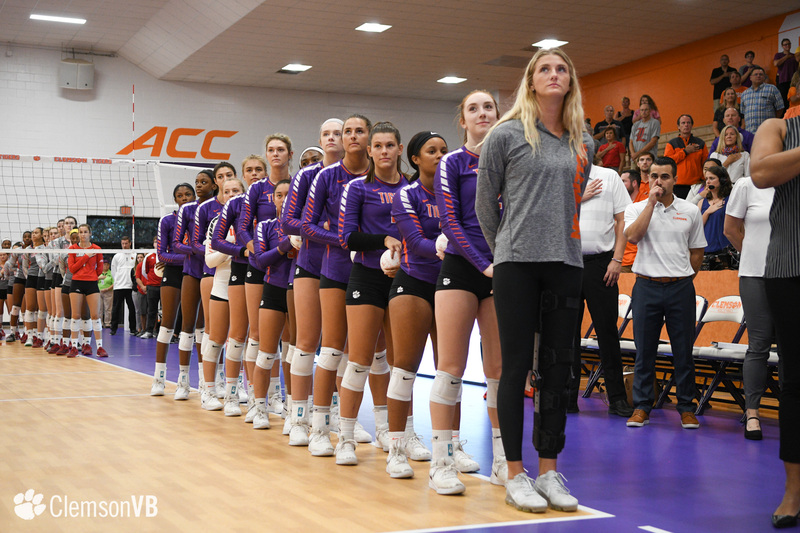 With the loss, the Tigers slip to 9-8 overall and 0-4 in ACC play, while Louisville improves to 11-4 overall and 4-0 in conference matchups. 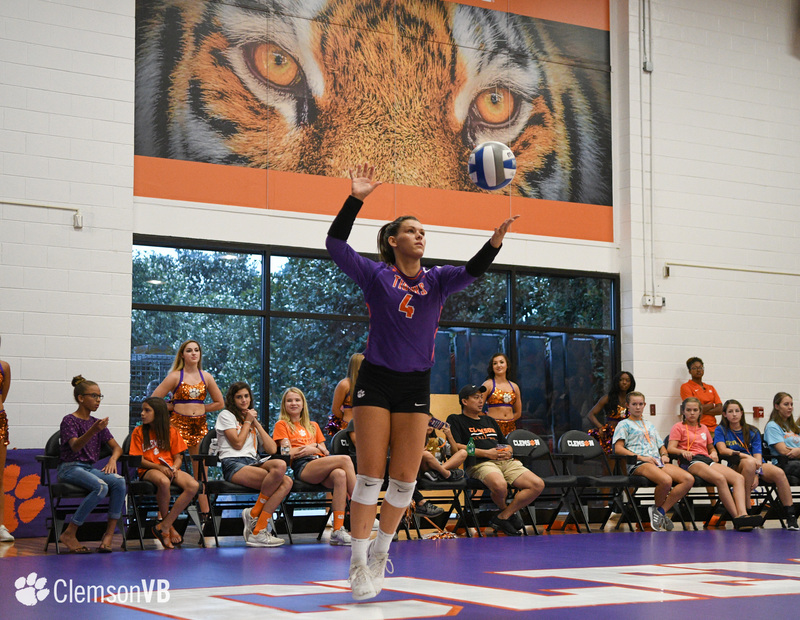 Four Tigers in Ashtynne Alberts (14), Brooke Bailey (12), Ava Prtichard (11) and Alyssa Deloney (10) registered double-digit kills. 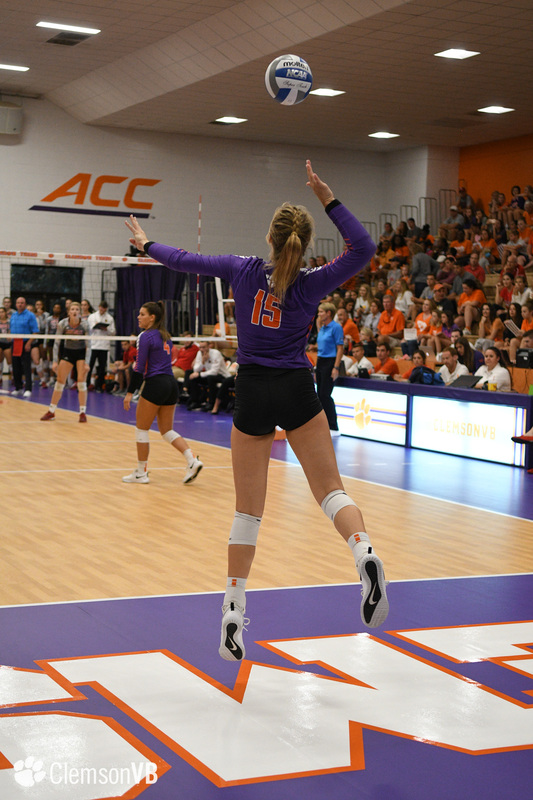 Pritchard’s 10 kills are the freshman’s season high and her first double-digit kill match. 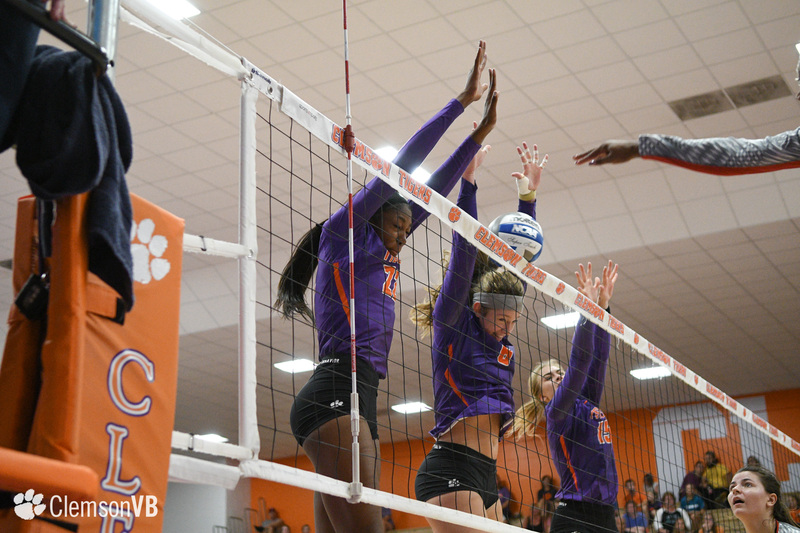 Deloney also chipped in 7.0 blocks, including one block solo, which ties her career best. 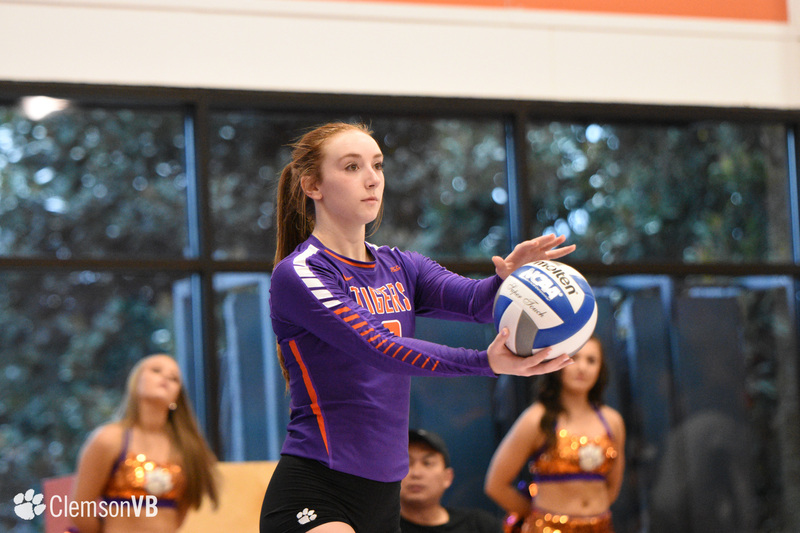 Additionally, sophomore libero Madi Howell poured in a match-high 17 digs. 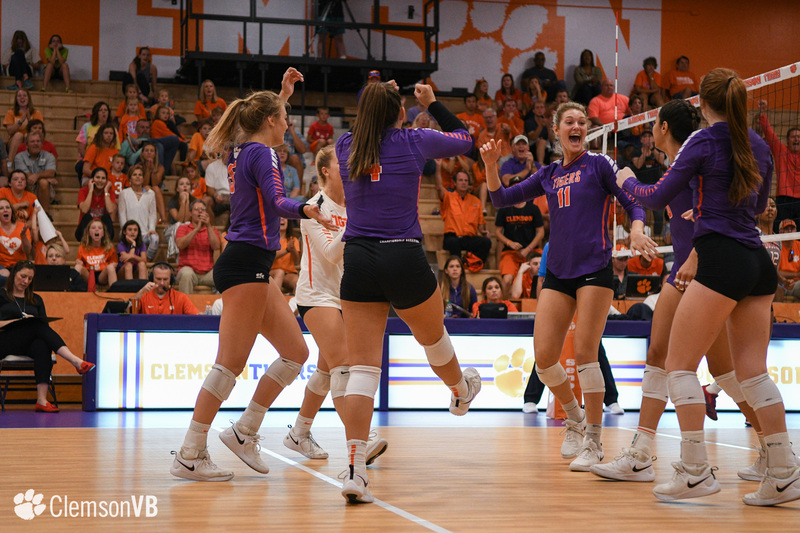 The two teams split the opening pair of sets as Louisville took the first, 25-21, while the Tigers responded in the second, 25-21. 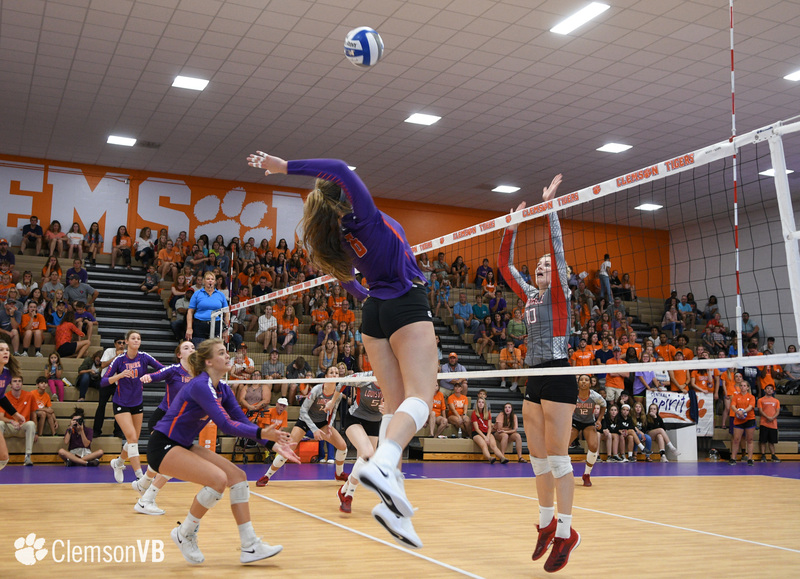 The Cardinals jumped out to a 16-9 lead in the third, a deficit Clemson could not overcome, as Louisville went on to take the set, 25-18, and a 2-1 lead. 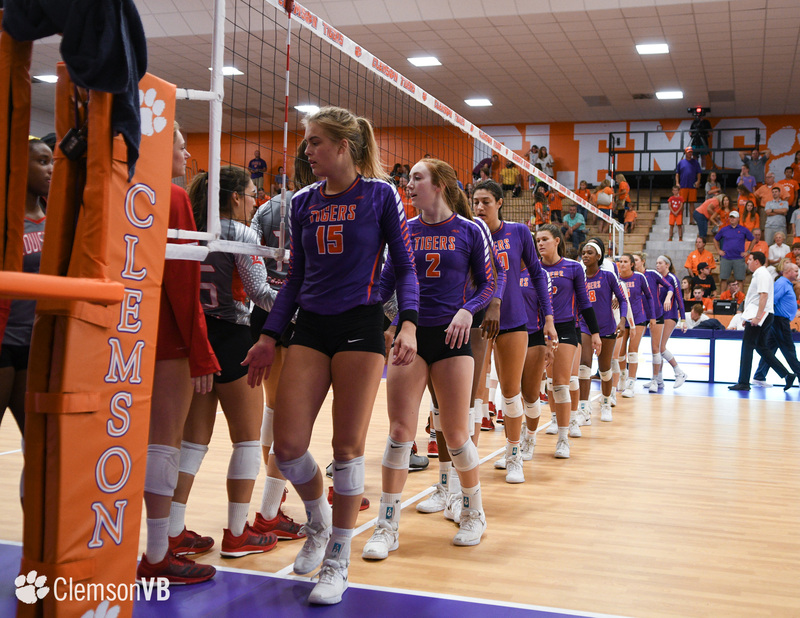 Clemson would spark multiple runs in the fourth before eventually gaining a 21-14 lead. 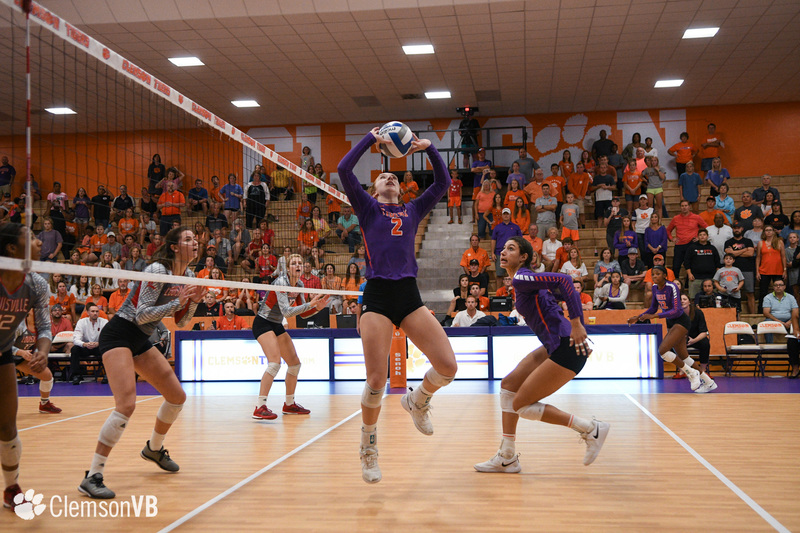 The Cardinals then fired off seven unanswered points to tie the game, 21-21. 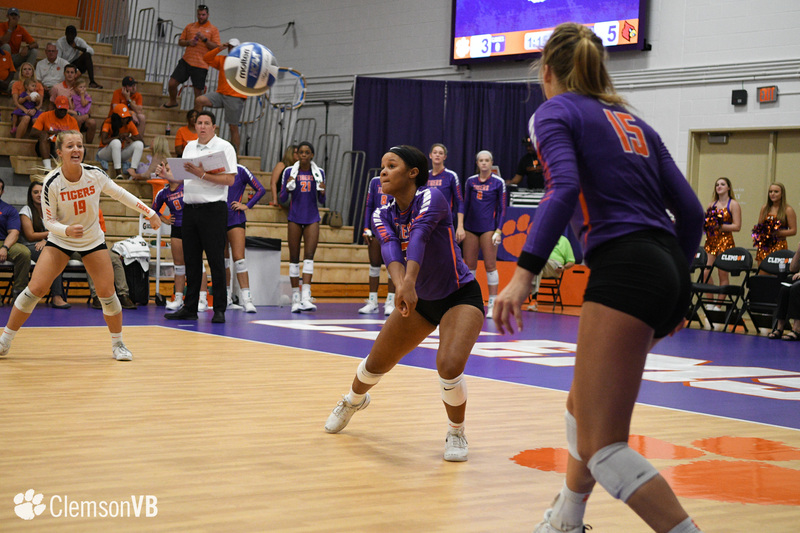 Deloney went on to register the set-winning kill on a pass from freshman setter Gabby Easton, who tallied 48 assists on the afternoon, as the Tigers held on to win the fourth, 25-23. 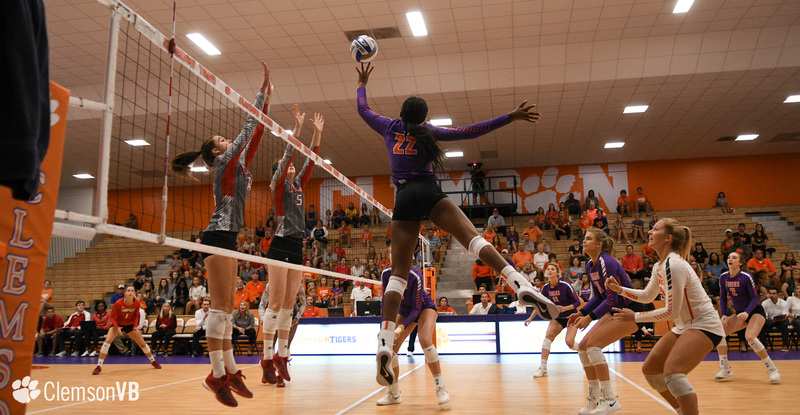 The deciding fifth set was as dramatic as it could’ve been as a challenged call by Louisville gave the Cardinals an 8-7 lead before the teams switched benches. 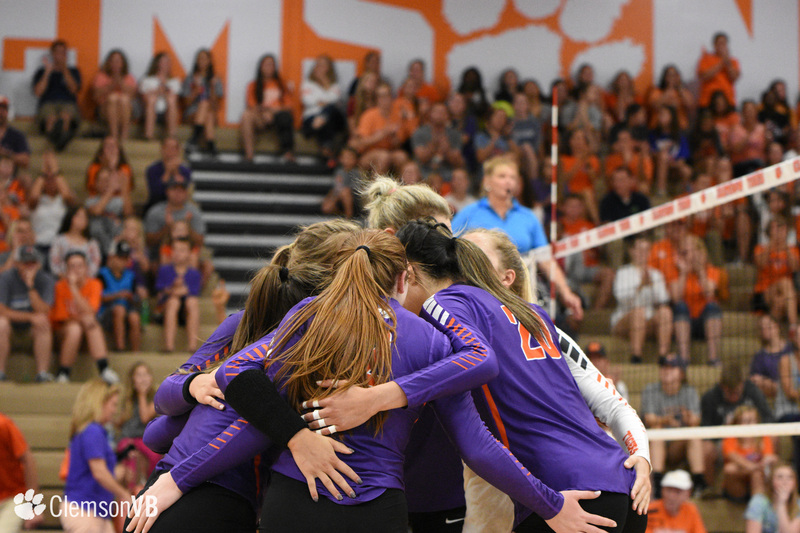 The Tigers gained a 13-11 lead before Louisville recorded three straight points to have match point in their favor. 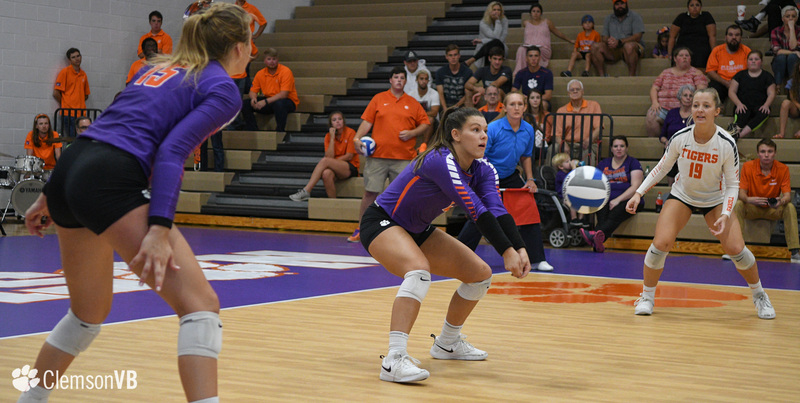 Another kill from Deloney tied the fifth, 14-14, but the Cardinals took the next two plays in their favor to win the set in extra points, 16-14, and match. 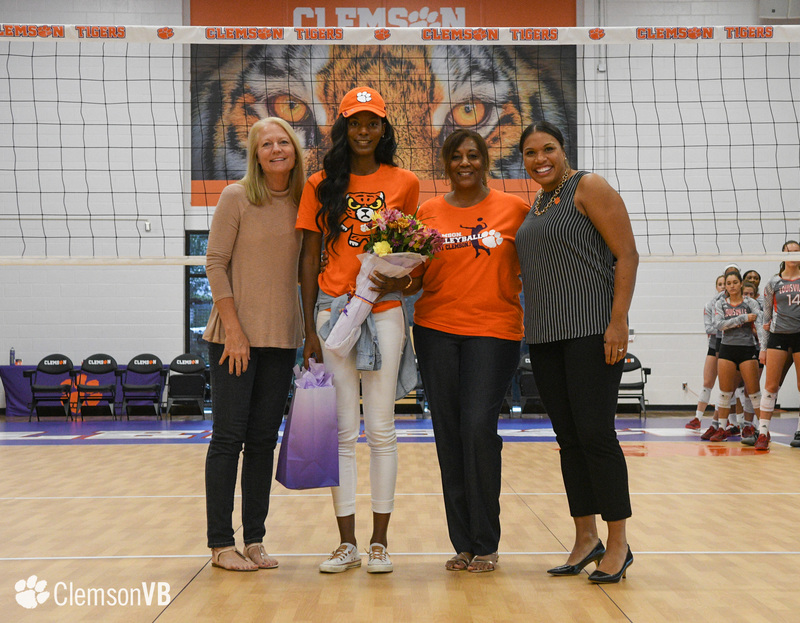 🤩 Look who made it! 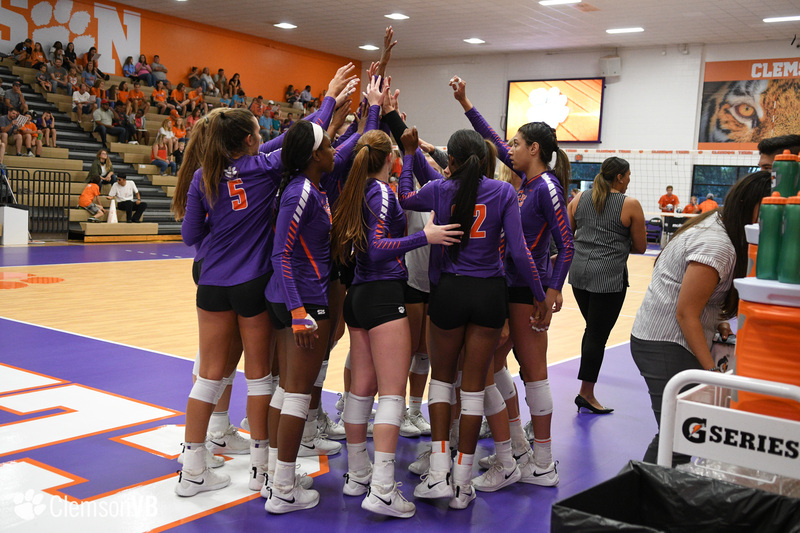 Up next, the Tigers head to Atlanta to take on Georgia Tech (11-4, 0-4 ACC) Wednesday, Oct. 3 at 7 p.m. Wednesday’s matchup against the Yellow Jackets is set to air on Fox Sports’ RSN. 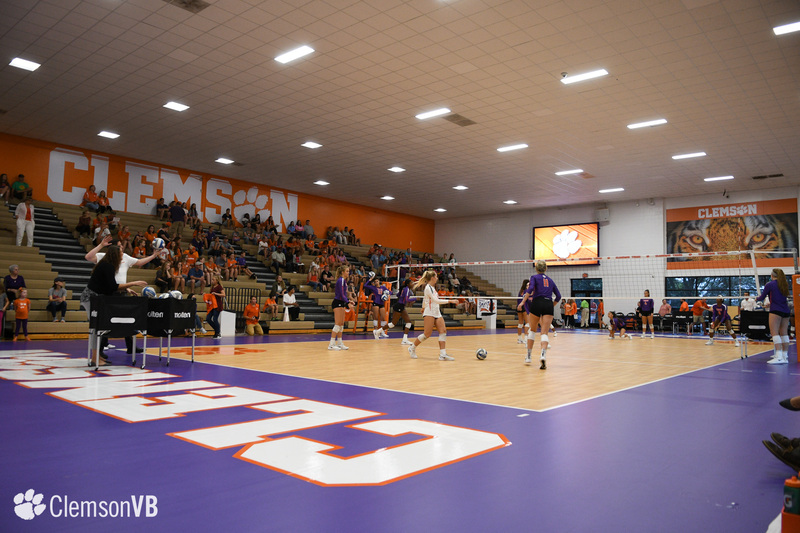 Those residing outside the regional footprint can stream the match on ACC Network Extra (subect to blackout).